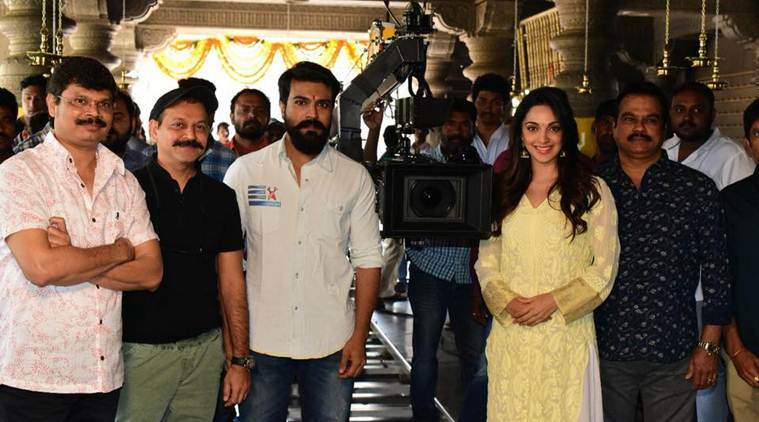 Ram Charan upcoming movie with Boyapati Sreenu has wrapped up Europe schedule and more 30% shooting is left pending and the cinematographer has walked out of the movie. As per the sources, Boyapati planned to complete RC12 shooting by October and cinematographer Rishi Punjabi has allotted dates till October, as the movie shooting is still pending the cinematographer has walked out of it. As his next dates were booked for a new movie. The movie team has roped in Arthur Wilson for the rest of the shooting. The last leg shooting on floors with a new cinematographer. The makers are releasing the movie tentative title ‘Vinaya Vidheya Rama’ on the occasion of Diwali. Kiara Advani is the film’s female lead and DVV Entertainments are bankrolling the movie.